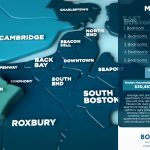 When you’re looking for a one-bedroom home or apartment in the Boston area, there’s no need to settle for a place you don’t love. 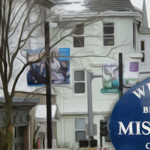 Find the very best spot for you with MissionHillPads.com, a real estate destination with unparalleled resources throughout Mission Hill and the surrounding areas, including Brigham Circle, Jamaica Plain, Roxbury, and beyond. With more than 2,268 local mission hill listings, you won’t find a larger database of options to help you discover the best housing options for you. With Mission Hill Pads, you’ll find the top selection of one-bedroom apartments. Whether you’re looking for a place for yourself or a pad to share, MissionHillPads.com offers a wide range of listings of many sizes and budgets to suit your real estate search. Boston’s Mission Hill neighborhood is a wonderful place to call home. The area features more than a dozen academic, healthcare, and research institutions, including the Longwood Medical Center and the campuses of Northeastern University and the Berklee College of Music. The historic district also boasts beautiful, landmarked architecture, and is in close proximity to the Boston Museum of Fine Arts. The neighborhood offerings include all the essentials, like grocery stores, shops, parks, schools, and restaurants. If you need to commute to the city center or around town, you’ll enjoy easy access to the MBTA’s orange line, the E branch of the green line, and several bus lines. Many locals also enjoy commuting by biking and car sharingthroughout the year. When you’re ready to make your real estate dreams come true, trust an experienced professional to guide you through the world of Boston’s housing market, from Mission Hill throughout the surrounding areas. With the MissionHillPads.com database, you can ensure that you’ll find the amenities you desire in the price range you need. Searching for the perfect home can be stressful and overwhelming, so don’t try to do it alone—find a trustworthy helping hand with the real estate professionals at MissionHillPads.com, the largest collection of Boston apartment listings, all at your fingertips. To start your search for the perfect Mission Hill one-bedroom for you, call one of the local real estate experts teaming up on missionhillpads.com portal today.